"Old Guys Can Be Creative"
AKA "Damn, why didn't I think of that!" My uncle Jess Gray, who lived in Crabapple Pennsylvania most of his life, was a wise man in many ways. Few knew more about hunting and fishing than Uncle Jess. He was truly a pioneer living in modern times. Being a child of the depression, he learned to be resourceful, using his keen mind to make his life a little safer and better for his family. With that being said, I hope I have inherited some of his resourcefulness and creativity. In the upcoming issues of “Old Guys Can be Creative,” I would like to think Uncle Jess has had a hand in my seeing the world a little differently – sitting on my shoulder whispering a little advice from time to time. Keep in mind, not all my “Old Guy” hints are original. Some have been borrowed and tweaked a little. Yet, some are original…if you can believe that after reading. When you are finished, I would like to continue this as a collaborative publication between you and me. If you have any life-tips that you would like included in future publications, please send pictures (if possible) and a description. You will be given credit, unless you state otherwise. Send by private message on FB (Michael Lambiotte) or by email (michaelslambiotte@gmail.com). Who knows, this might evolve into a collection of (actually) useful hints! “Old Guys Can be Creative” – when it comes to cooking! 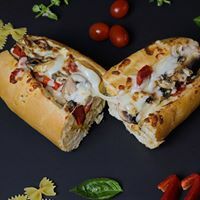 In my hometown of Clarksburg West Virginia, the Italian style hoagie sandwich, which some may call a ‘sub’ or a grinder sandwich is a staple in our food chain: 12” Italian bun (or what use to be 12”), steak, friend peppers and onions, cheese (mozzarella or provolone). Some remove the fried peppers, substituting Italian style peppers in red sauce and/or mushrooms. It is our version of the traditional Philly Cheese Steak, minus the cheese whiz. Then you split it down the middle, but not all the way through. Like this…. And fill it with the steak, onions, peppers, (Sandra, my wife, likes tomatoes), and cheese. 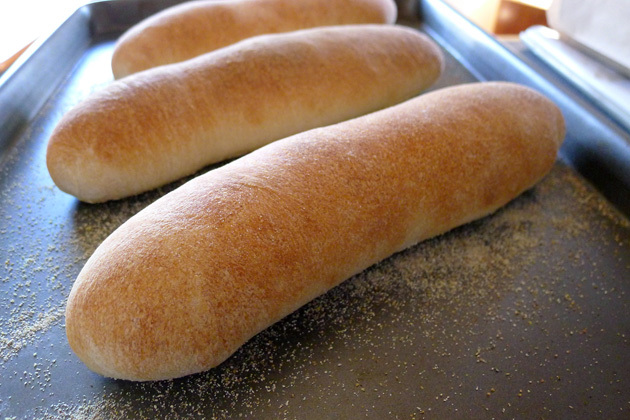 Split it normally and carefully take you fingers and scrape or pinch out as much of the bread as you like. When finished, it looks like this…. 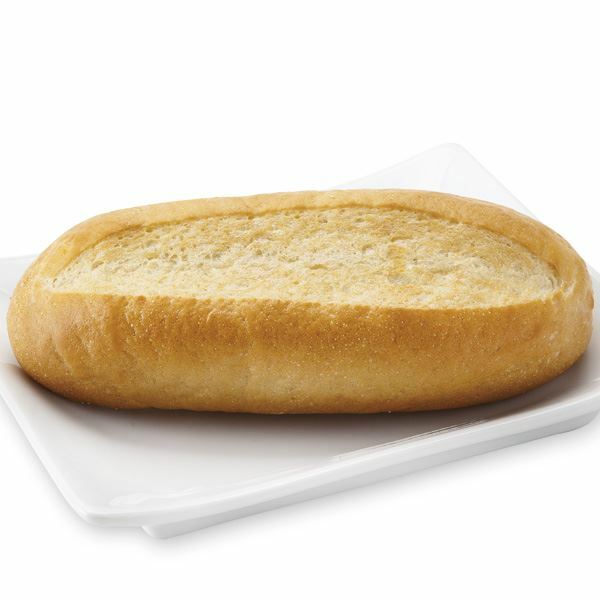 This way you have the best of both worlds: The great taste of a fresh baked Italian bun (with fewer carbs) and an opportunity to make up the bread-void with more steak, onions, peppers, and cheese, which is especially appealing to me. There you have it. 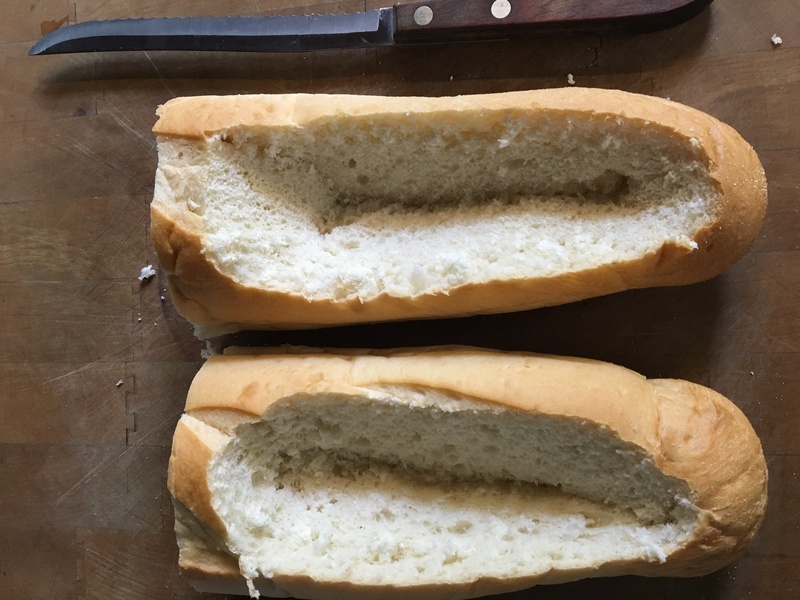 My "Canoed Italian Hoagie" Less bread - More filling! Many people (like me) wear a variety of baseball caps. In my collection, I currently have 27 in an assortment of colors and themes. 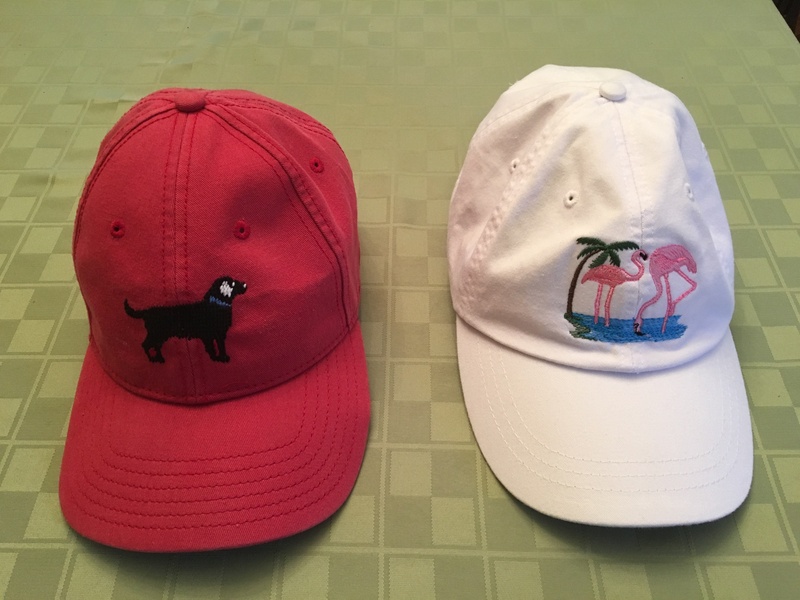 Two of my favorites are this red one, which reminds me of our precious black Lab Merry and my pink flamingo hat. If you have been following me for a while, you know the connection with flamingos. I wear them constantly when I am outside, mainly to keep the top of my head from getting sunburned. Unfortunately, my once Bob Dylan hair style is now ‘almost’ a barren wasteland, sprouting a little wispy desert grass. . 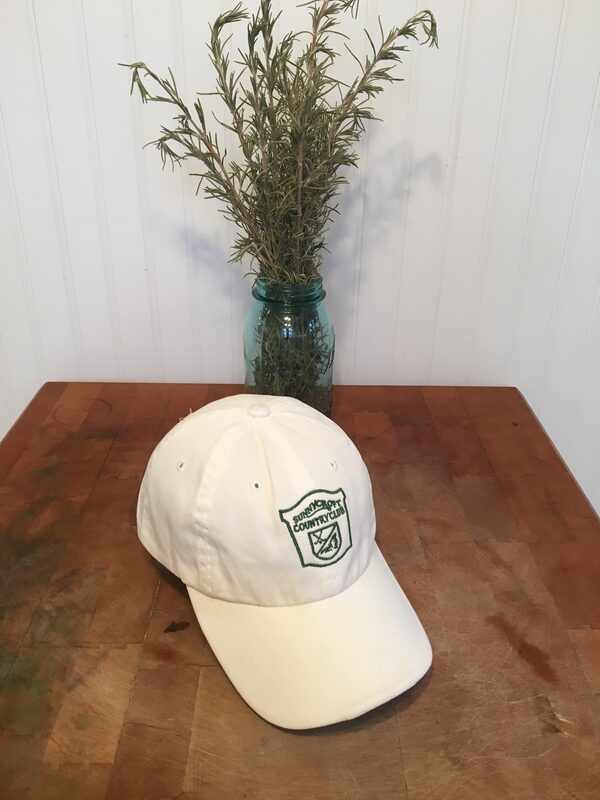 Nevertheless, when you wear them every day, and especially on the golf course, a bright new baseball cap can quickly become like this garden-work hat. 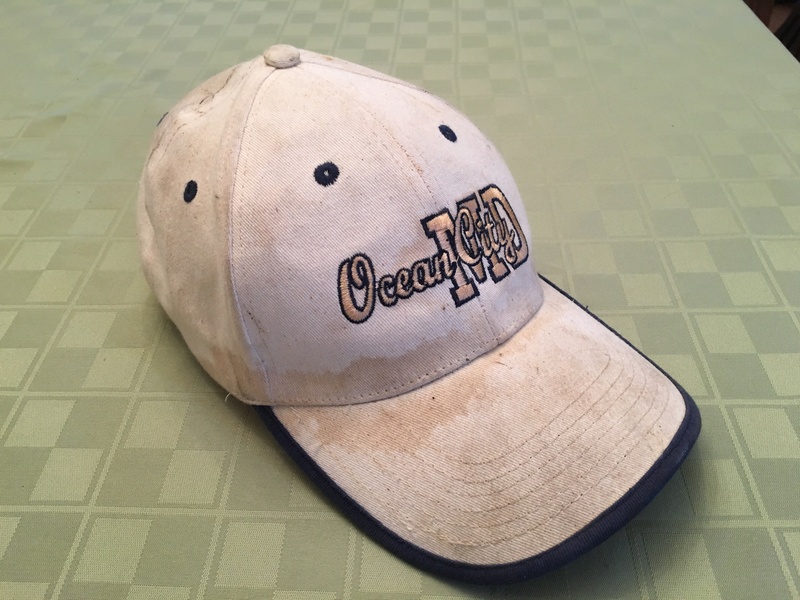 Sooner or later, every baseball hat needs to visit the washing machine. At least mine do. I am a very ‘hands’ person with my hats, so the bill is the first to become grimy. This is where Sandra enters. She takes care of the washing: Sprays them thoroughly with Oxyclean Maxforce and washes them in warm water. 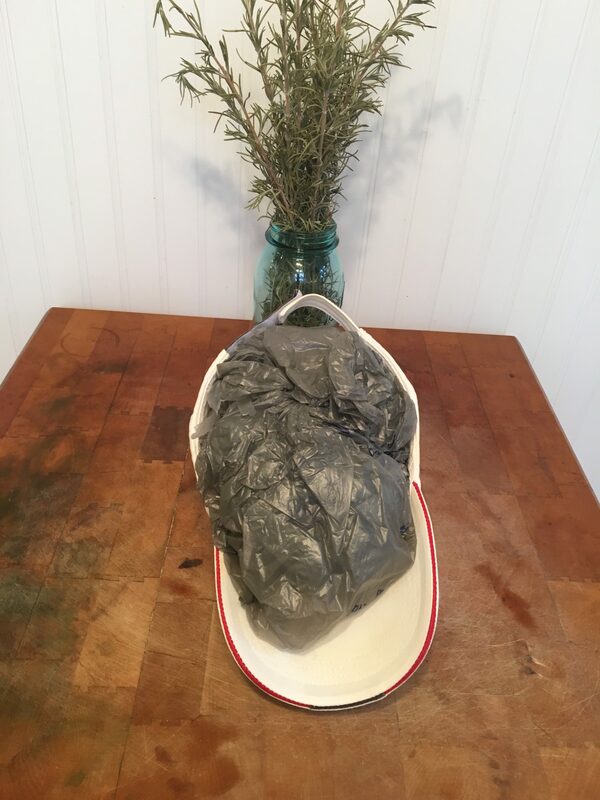 I came up with the idea of tightly stuffing them with plastic grocery bags (very tightly) when still wet and placing them in a safe place to completely dry – a couple days. Please be kind. If you have been doing these for years, keep it to yourself. I can be fragile. On the other hand, if you read this and thought “Damn, why didn’t I think of that!" Just run off a copy and file it away. There is more to come. Remember, I want this to be a collaborative project between you and me. So, if you have your own helpful hints, as I said in the beginning, please pass them along as a private message on FB (Michael Lambiotte) or to my email (michaelslambiotte@gmail.com). You will receive the credit, unless you say differently. Don’t forget pictures. Hope you enjoyed this maiden voyage.